“Boyd,” he said. ‘I think it’s time you did a dig of your own. Where would you like to go?” And I thought of Head-Smashed-In. I said, “Well there’s a buffalo jump up in Alberta I wouldn’t mind taking a look at.” And so, he gave me a couple boxes of groceries and credit card for the gas and the two boys (William Hudgins and Donald Hartle) to help me and sent me off” . 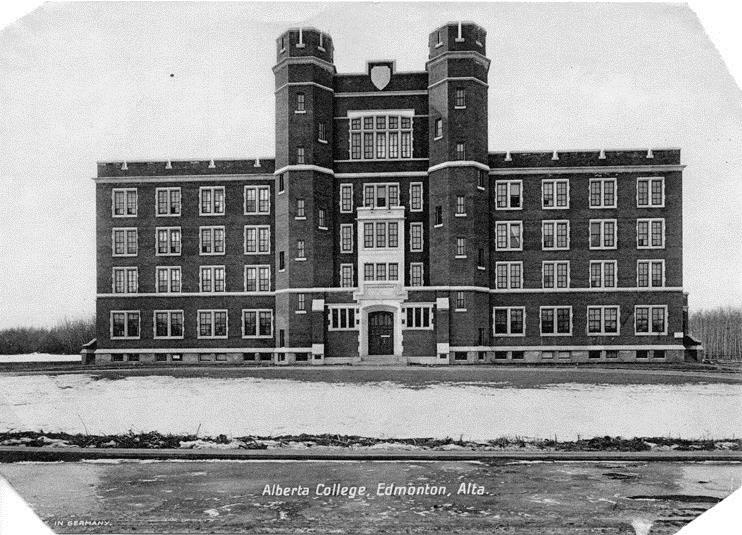 Historic photo of Old St. Stephen’s College circa. 1915. After about three years, the Old St. Stephen’s College – Provincial Historic Resource has now completed the planning and implementation of its exterior rehabilitation and restoration project which started a number of years back with its cedar shingle roof replacement. Happy New Year, everyone! 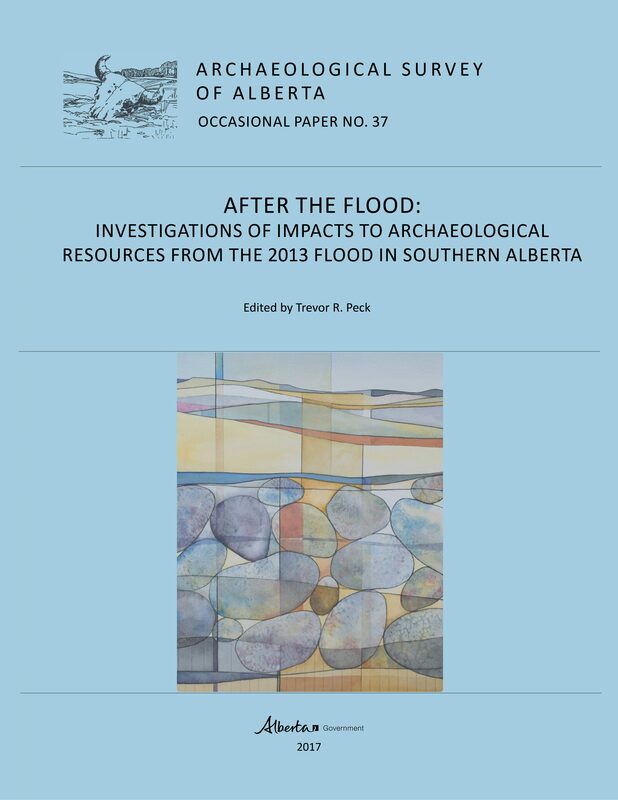 We are excited for 2018 and look forward to sharing more of Alberta’s history with our readers. This past year was a great one for RETROactive. We had our most annual views ever with a total of 72,442, coming from more than 140 different countries. The countries where most of our views came from include Canada, United States, United Kingdom, Germany, Australia, France, South Korea, Mexico, Netherlands, and India. We published 48 new posts in 2017 and our busiest day of the year was April 19th when The Tale of a Rusty Revolver was published (this was also our most viewed post of the year). Did you know that we also have a Facebook page and Twitter account? You can find us on Facebook at “Alberta’s Historic Places” and on Twitter at @ABHistoricPlace, or follow the links below. Lastly, our Popular Posts page has been updated. This lists our top 10 posts of all time and is a great way to introduce new readers to our blog – please share the link with your friends, family, and colleagues! Thank you to all our readers for your support. Here’s to a great 2018! Next week we will have a new post from the Heritage Art Series! 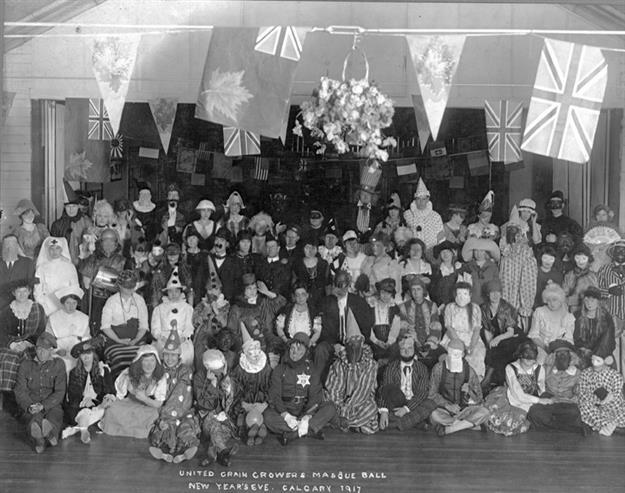 People in costume at United Grain Growers New Year’s Eve Masque Ball, Calgary, Dec. 31, 1917. Photo Credit: Provincial Archives of Alberta, A14708.